The print and packaging industry is one of the fastest growing and the most innovative in India. ATE has played a role in this through its range of novel products and integrated solutions designed to improve quality, raise productivity, reduce waste, and hence enhance competitiveness. ATE has been partnering the print industry –covering gravure, flexo, and offset printing –for over 35 years. Here, Ashok Sethuram, Director, Valence Electrons Pvt Ltd, an ATE Group company, shares more about how ATE supports the print and packaging industry. 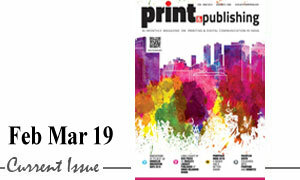 P&P: Tell us about the various solutions that ATE and Valence offer to the Indian print and packaging industry? Ashok: ATE has diversified into a range of verticals during the 79 years of its existence. It has been present in the print and packaging vertical for over three decades. With domain knowledge in the print and packaging field built over the years, it is known as a reliable source for quality products. ATE has developed customised solutions for demanding and complex printing and converting applications. Valence Electrons Private Limited – an ATE group company headquartered in Bengaluru – is a leader in providing world class solutions for managing static electricity, ink handling, surface cleaning, and heat recovery in various industrial applications. It is involved in design, manufacturing, marketing, sales and support of various products and serves customers across the world with innovative products and solutions.It caters to a range of industries such as flexible packaging, printing, textiles, plastics, glass, and pharmaceuticals. 1. Electrostatic solutions: In many industrial applications excessive static electricity can create unwanted problems like shocks to operators, dust/dirt accumulation, reduced productivity, and fire hazards. Hence, during a production run, such static charges need to be neutralised. Valence offers static charge eliminators for effective static charge removal. 2. Ink-handling and condition-ing systems: We offer pumps, filters and ink tanks for efficient ink circulation. For ink conditioning, we offer ink temperature stabilisers (ITS). ITS cools the ink to ensure that ink temperature is maintained at optimum levels during the production run. This reduces evaporative or fugitive loss of solvents, improves ink transfer and reduces solvent odour on the shop floor. 3. Waste heat recovery: Rotogravure printing, coating/laminating and extrusion coating machines need heat as a process requirement. Waste heat from the exhaust stream is recovered and recycled for preheating the air used in the process, resulting in energy saving. 4. Surface cleaning: We offer solutions for the removal of surface contaminants like dust and lint from various substrates like paper, film and foil. Print and Packaging Equipment (PPE) is the business unit of ATE Enterprises catering to the print, packaging and converting industries. 1. 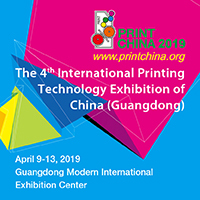 Automatic register controllers: Responding to the challenges of delivering superlative print quality, ATE developed the highly successful real-time automatic register control system, AlygnAXIS. It is one of the best solutions for correcting registration issues in printing processes, and guaranteed to boost productivity and profitability in web printing processes. 2. Vision and print defect detection systems: Encouraged by the success of register control systems and recognising the evolving market expectations of quality, ATE launched a range of web video and print inspection products. Apart from entry level web-video, we offer a unique full print repeat web viewing system – ViewAXIS Tera, which can monitor full width of the web in real-time, thus fulfilling a long-felt need in the Indian market. The 55” 4K monitor, displaying images of 50+ megapixels resolution, results in ‘near-print quality’ visualisation. The ViewAXIS Tera was an idea we came up with from our discussions with printers and OEMs. They wanted an intermediate system which could, at a later stage, be upgraded to a 100% print inspection system: DetectAXIS. There are two advantages in this. First, operators get to learn to identify the defects on a full print repeat monitoring system. Second, investment can be done in stages. Built on one of the latest platforms, ViewAXIS Tera is comparable to best-in-class inspection systems. Demand for this range of specialised solutions from ATE and Valence is growing as the Indian print and packaging market strives for higher levels of operational efficiency, quality, and safety. P&P: What is the USP of your company? Are these products made in India? If yes, share details. Ashok: Our presence in this market for over three decades has helped to build a close and constant connect with the OEMs and end users. It enables us to better understand customer requirements. This learning in turn has given an impetus to our product development efforts. We have a strong hardware and software development team working closely with application specialists, who ensure that a ‘close fit’ solution is found for field issues. We are proud to say that all our products are not only manufactured but also designed in India, ensuring high quality import substitutes at affordable costs. Also, our pan-India after-sales service team provides prompt service. Needless to say, we work towards continual development and are an ISO 9001:2015 certified organisation. P&P: Tell us about the newly launched ATEX certified static charge eliminators. What kind of customers will benefit from this new solution? Also, tell us about the impact of static electricity in industry. Ashok: In gravure printing and coating machines, in particular, high levels of electrostatic charges are formed on the plastic film and paper. These electrostatic charges can cause sparks that are potentially hazardous and even disastrous. The only way to remove these static charges is through a process of ionisation. Since ionisation requires a high voltage for operation, these active static eliminators need to be certified for use in the solvent vapour-laden environment of a rotogravure printing or coating station. Valence’s Valstat VR20X static eliminating bars are designed to efficiently neutralise electrostatic charges from fast-moving plastic films in explosion-prone environments. We are the first Indian manufacturing company to offer ATEX-certified static charge eliminating bars. A row of electrodes, provided along the active length of static eliminating bar, generates ions of both polarities, ensuring that positive and negative charges are quickly and effectively neutralized. These shock-less spark-free static charge eliminators are helpful in improving output quality and enhance productivity with fewer machine stoppages. Static eliminating bars are powered by high voltage AC power sources and are a compact, sturdy and efficient electrostatic charge removal system. P&P: One of the biggest states in India has banned single-use plastic solutions. Other states are also expected to move in this direction. How will this impact the packaging industry? Ashok: It is a good and environment-friendly decision taken by the Government of Maharashtra, and other states are likely to follow suit. Plastic is a wonder material which has positively impacted humankind and nature on multiple fronts. In my opinion, instead of a blanket ban on single-use plastic we must look for more comprehensive solutions such as Recycling and Reuse of plastics. The collection points for used plastic must increase and recycling processes should also improve. While banning single-use plastic, we must evaluate other options, which are also eco-friendly. P&P: What is your strategy for growing market share in the next two years? What are your future plans in India? Ashok: The print and packaging industry in India has started to mature, and needs more thoughtful and sophisticated engineering to reach higher quality and productivity. In addition, Safety, Health and Environment (SHE) concerns are getting more and more important for everyone. ATE continues to hone its products and services as we work towards providing our customers with innovative and cost-effective solutions for all of these needs. 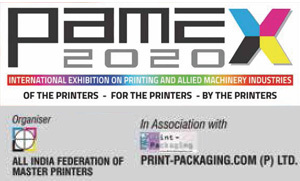 We can see that flexo and digital printing will soon be the next big thing in the Indian print and packaging industry. The advancements we have made in the print control and vision systems group are part of this drive. As a conscious decision, in order to be future ready, we started the design and development activity for ATEX certified static eliminators, vision and defect detection products several years back. Now, we have launched and stabilised these products. We are also giving a major thrust to exports.